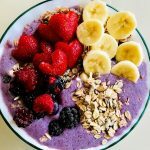 Ever wondered how to make the perfect smoothie bowl in under 5 minutes? They are a tasty snack and refreshing snack for any age. They are jampacked with all your favorites and you can add as much or as little as you want. Kids will love being able to make a dish of their own and pick out exactly what they like. Forget ice cream with all the toppings. Here’s a more satisfying, and just as sweet, alternative. A lot of these items you may already have in your refrigerator. If not, head to your local grocery store or even the farmer’s market. Frozen fruits are an option as well. Customizing what goes in the blender is just as quick as buying an already made mixture. 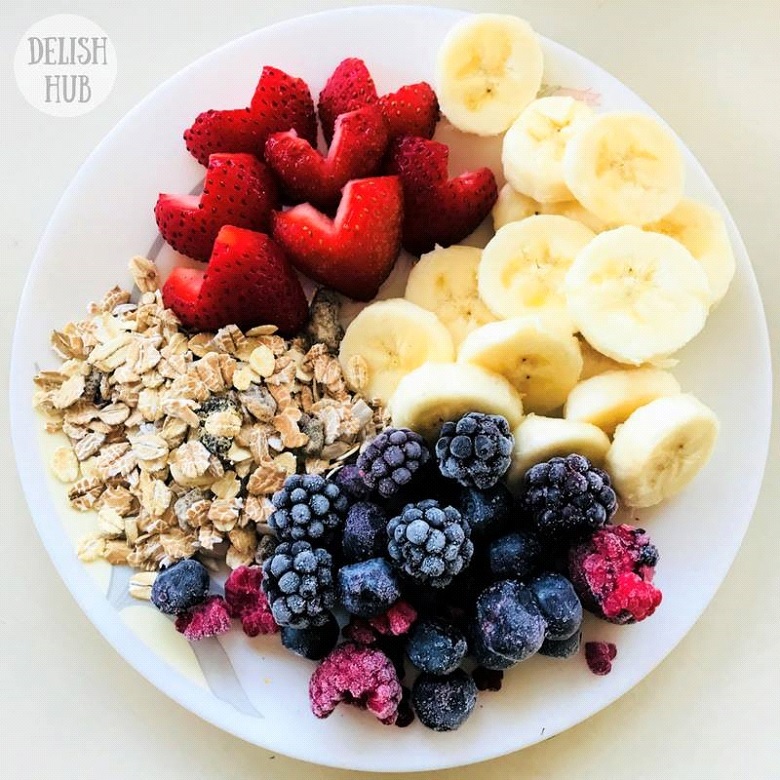 Blend your fruit, your way! Unsure of what exactly muesli is? It’s a combination of grains, raisins, dried fruit, and nuts. Granola will work as well. Now that you have all the ingredients, it’s time to create! It’s easier to lay everything out that you’ll be using prior to making the smoothie bowl. It’ll make the process easier. One all prepped, put the banana, berries, muesli, and milk into the blender. Super simple and you can add however much you want depending on how large you want the serving size to be. Blend to your liking before transferring to a bowl. It’s recommended to keep it a little thicker as you’ll be adding toppings and eating with a spoon versus drinking from a straw. Now it’s time to decorate! This is perfect for the entire family. Kids love to help in the kitchen and not only are they helping, they have full creative control. Challenge them to make to create shapes on top of the smoothie or even spell out their name or initial. Take the berries you have left over and add on top. Slice those strawberries and bananas and play around with the placement. For those in a rush, you can throw in all your toppings at once. It wouldn’t need to be picture perfect. If you want to be more creative, try cutting the strawberries into heart shaped pieces. Add however much muesli you want for an added crunch. It’s just as good as sprinkles! Tada! 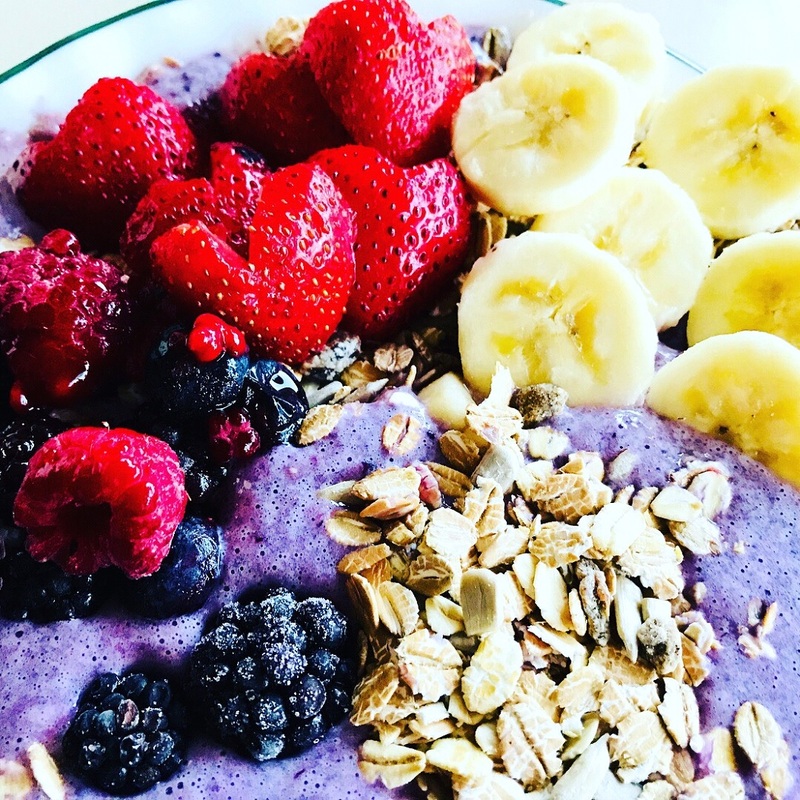 Just like that, your smoothie bowl is complete. Ready to take it up a notch? Take a picture of your creation and share it on social media. Let your friends and family vote to see who has the better design, you or your child. There’s nothing like friendly competition in the kitchen. The bowls can ideal for a night in or a midday snack. 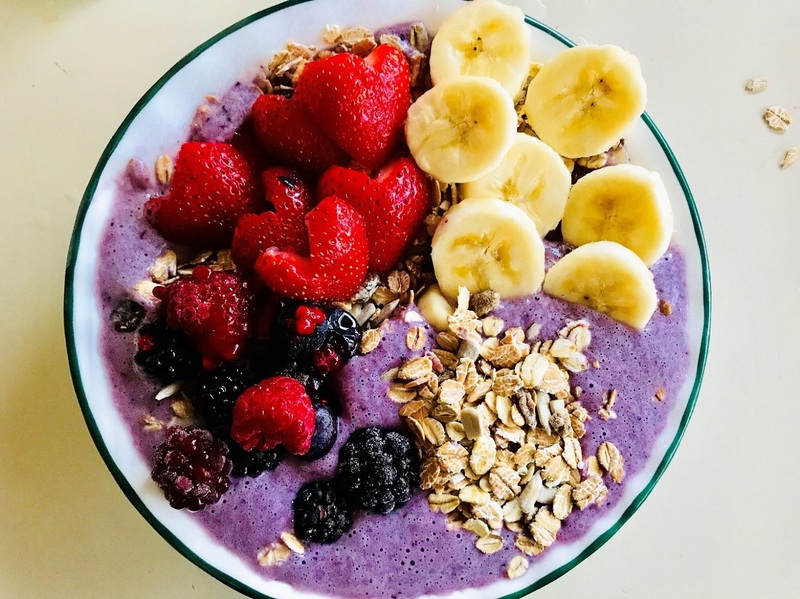 The possibilities of smoothie bowl recipes are endless. Start with your favorite blend and pump up the volume with the toppings. Enjoy! 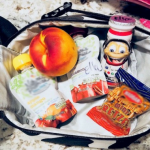 Healthy Lunchbox Ideas for Kids – Simple and Easy to Make!